Are you having plans to buy a new phone in sometime? Are you a business phone user and waiting to change your phone? Are you a phone enthusiastic person and like using different phones or are you just a person who wants to buy a new phone? Hey guys WAIT for the GPHONE! Till today the only phone maker who is making phones using Google’s technology is HTC, but HTC is not the only company. Now it almost everyone. Name the brand of mobile phone maker you like and you will see it making phones with Google’s software. Big news! The list of hardware, phone and software makers who are joining hands with Google has grown even more by adding 14 more members…. Google does not manufacture hardware, they are software people. 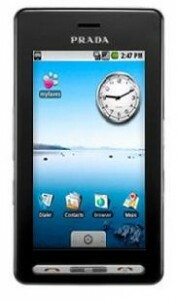 They have got a wonderful open operating system called the Android which can run mobile phones. They have formed an alliance called the Open Handset Alliance inviting hardware / software / handset makers / Mobile Operators to use the open source software called Google Android to run their phones. Who are the guys participating? Many of the top giants were a part of this alliance. Now there are 14 latest additions to the same, notably Toshiba, Sony Ericsson and Vodafone. Already existing members are HTC Corporation, LG Electronics, Motorola and Samsung. I guess we have all the world top phone makers except Nokia who runs Symbian as operating system for their phones. Top manufacturers of hardware like Ericsson, Broadcom, Intel, Qualcomm, Texas Instruments are already part of the alliance. Well we can see we will get Google’s operating system in all phone phones very soon. It’s worth the wait because phone makers are working against time to give bigger, better phones to consumers. Have a look at the list of companies who are a part of the Open Handset Alliance. What’s Nokia doing about it? We will also have to understand the developments in Nokia side, who is the largest producer of mobile phones in the world. 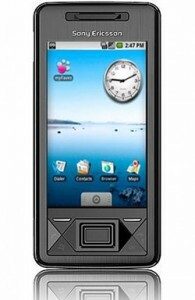 Symbian is the one of the most widely used operating system on mobile phones. Almost all the mid segment and high end Nokia phones run on Symbian operating system. Nokia has bought Symbian software maker. 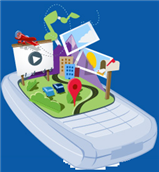 It plans to make Symbian an open source project. Will it have any impact? We can only wait and see. I feel that the Android OS is just to hyped up right now and only time can tell how well it can stand up to the competition. 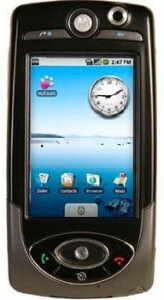 Nokia has the mass market now but Symbian is behind the curve and not likely to catch up. I see Nokia making a deal to sell off Symbian to Google and essentially be absorbed by Android in 2010….when its supposed to be open sourced. Nokia bought Symbian out so it can be the sole arbiter to sell it out and the Open Handset Alliance will want its market share for Android.